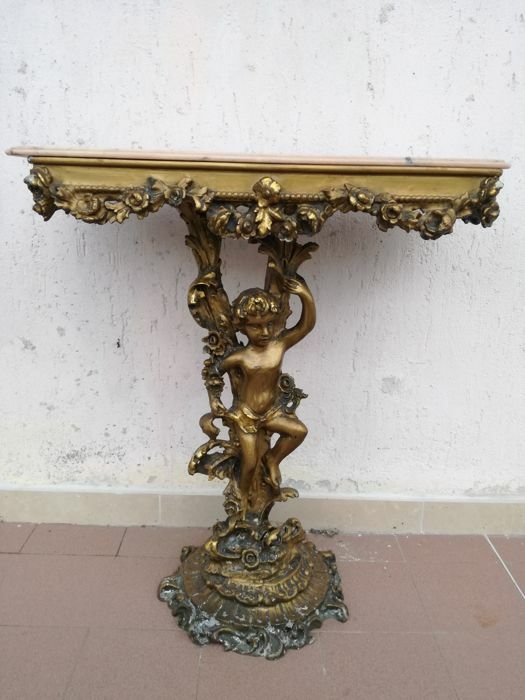 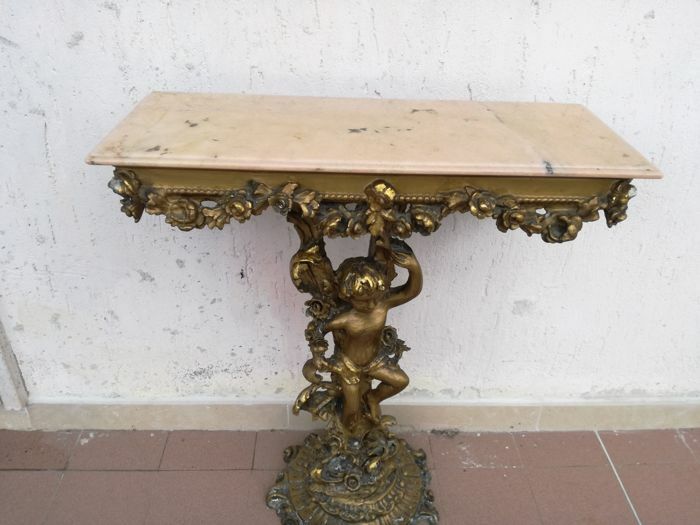 Beautiful console table in Venetian Baroque style, gilt with gold leaf, from the early 20th century. 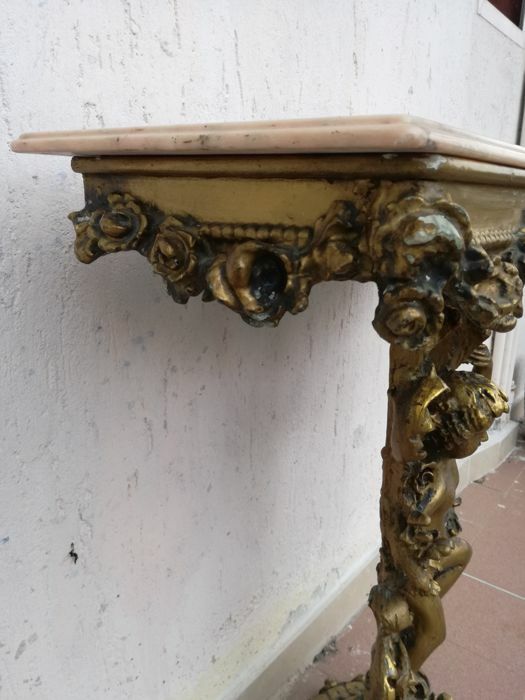 With a decoration in carved resin. 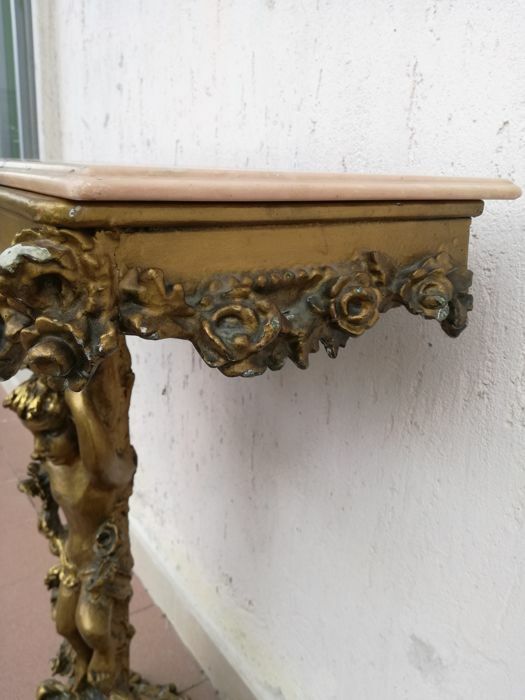 The base and the top surface are in wood. 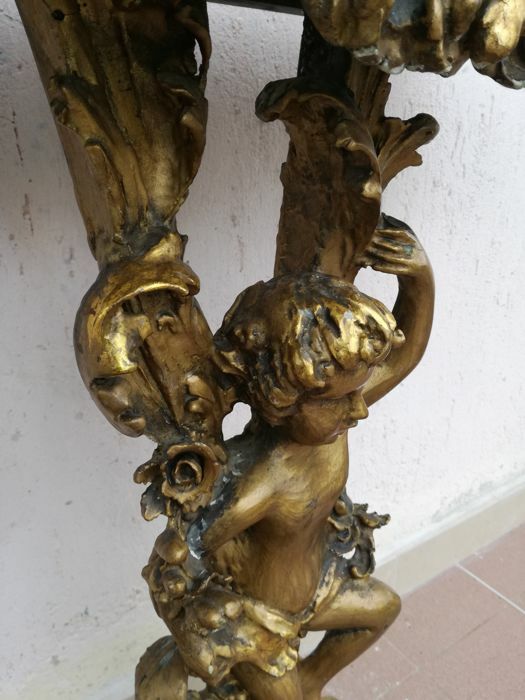 The pedestal is shaped as a putto and rests on a round base decorated with flowers. 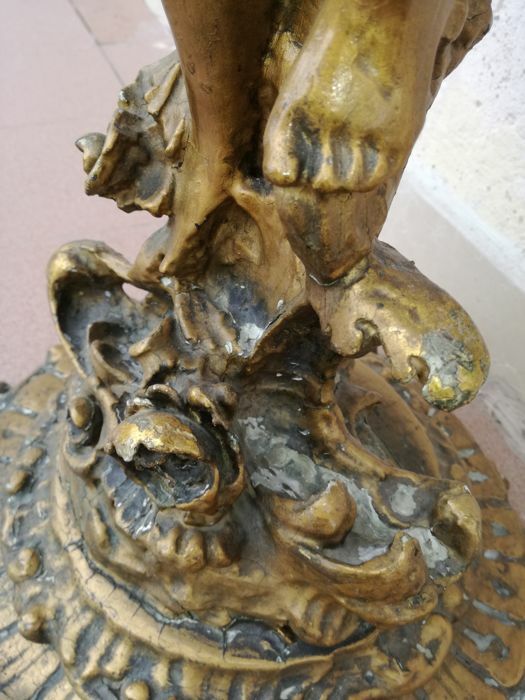 The top surface shows a carved decoration with a floral motif all along the perimeter. 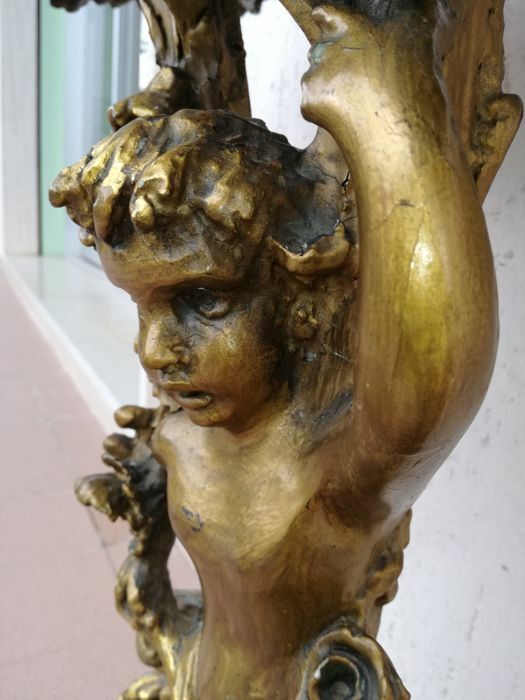 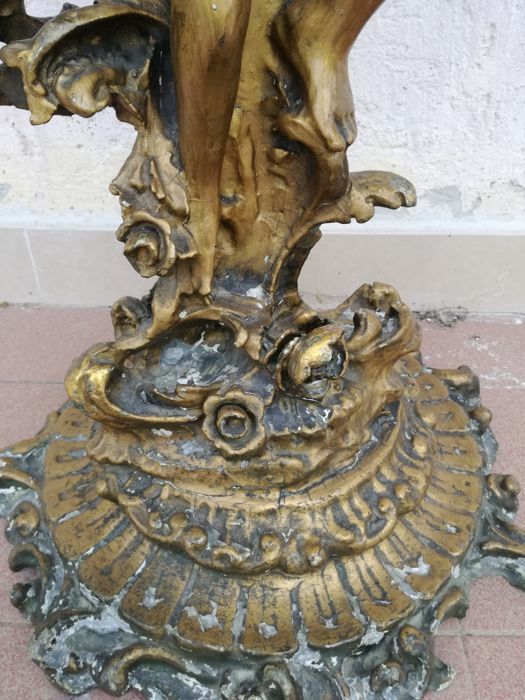 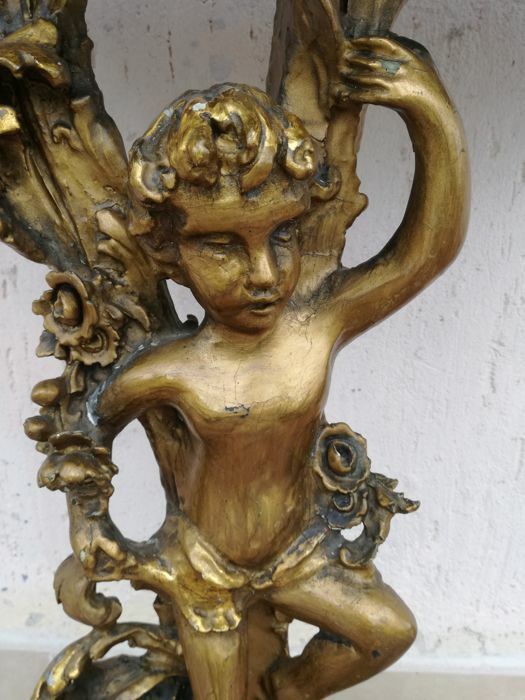 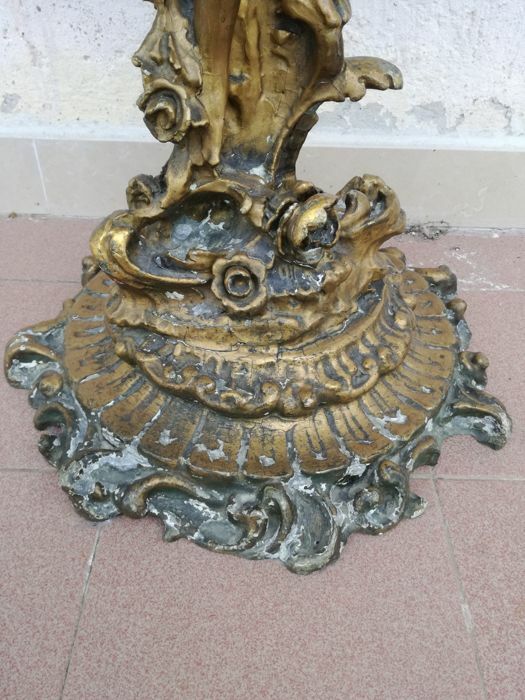 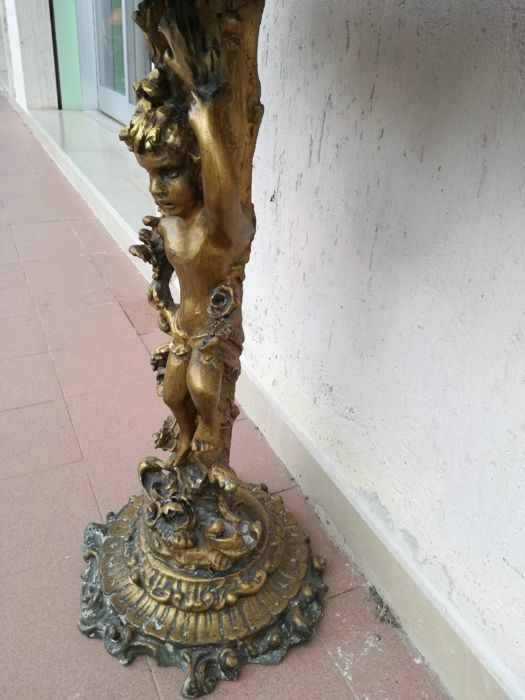 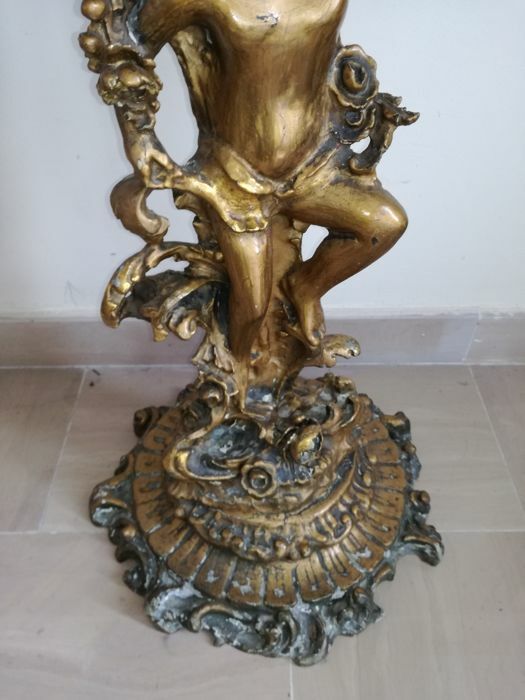 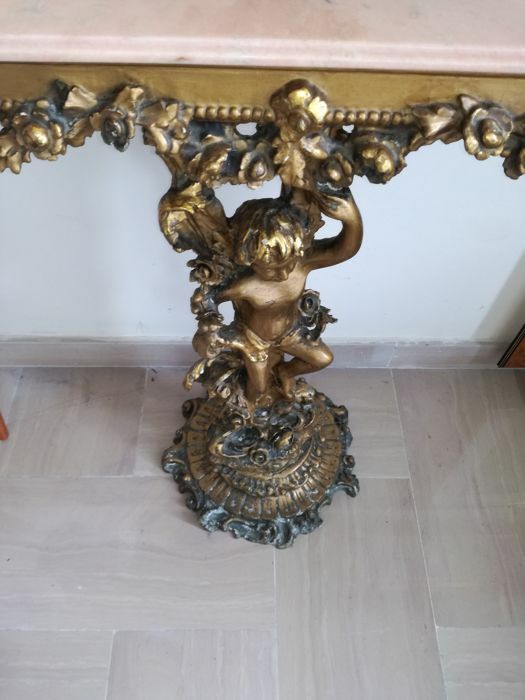 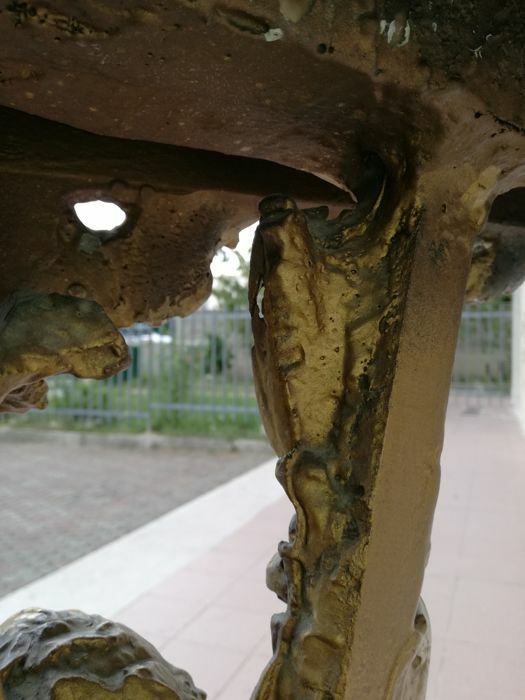 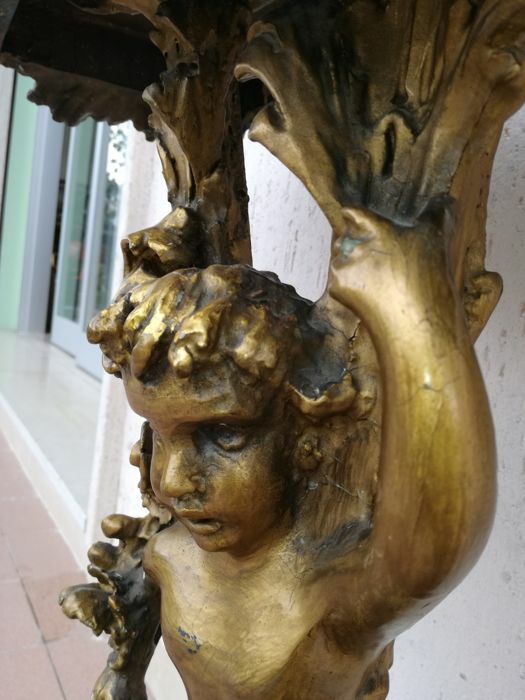 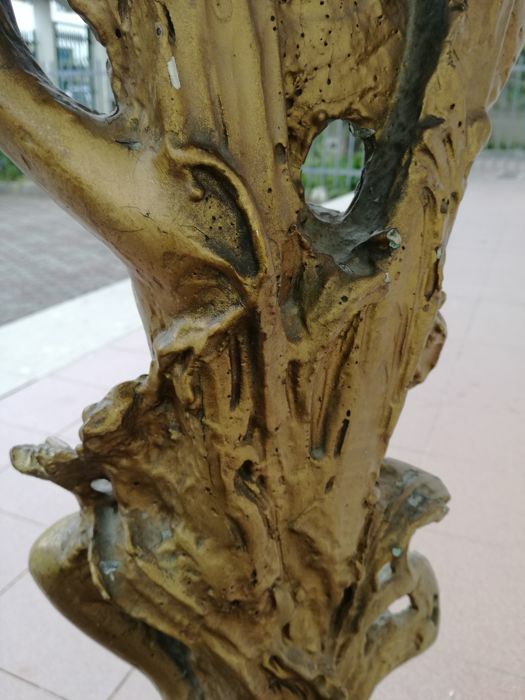 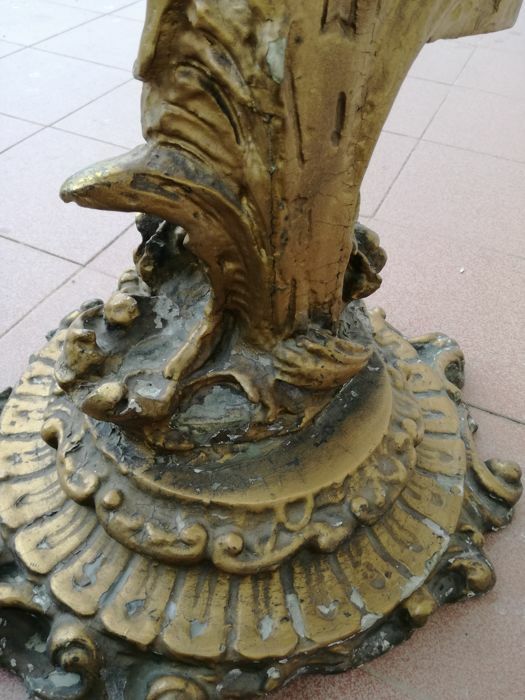 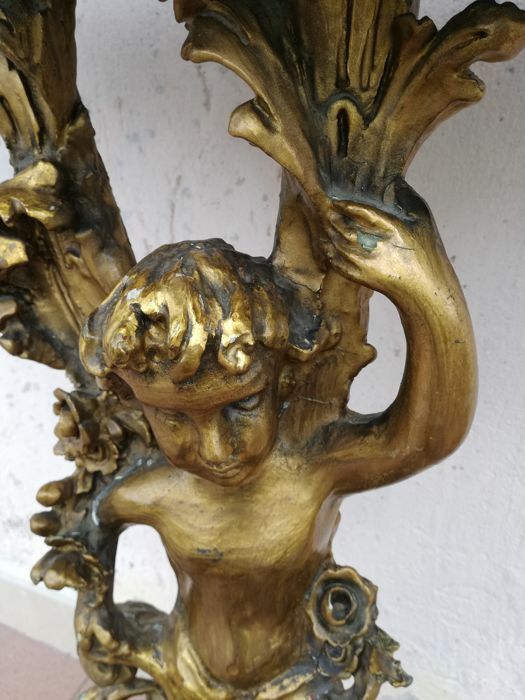 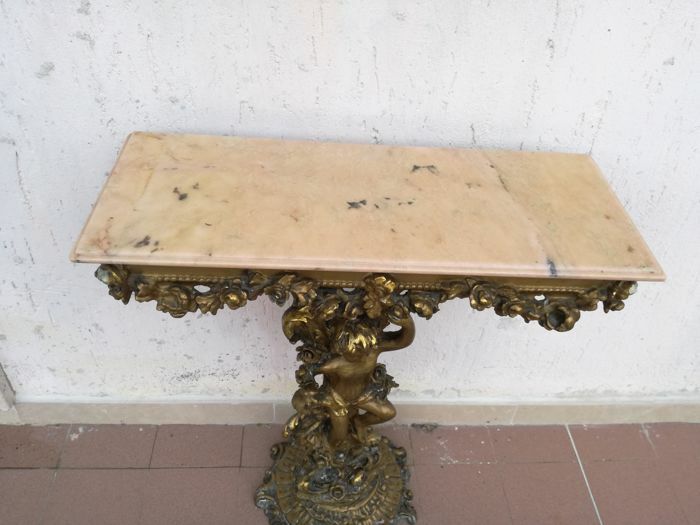 Base circumference: 35 cm; putto height 70 cm; rectangular top surface in pink marble: 72 x 30 cm; overall console height: 80 cm.Gold plating shows some losses due to ageing.